The city's false narrative about Sunday’s Pride Parade continues to melt away as more and more videos of the parade aftermath emerge and the Chicago Police Department’s claim of only “seven” arrests has been proven to be 17 arrests shy of the truth. 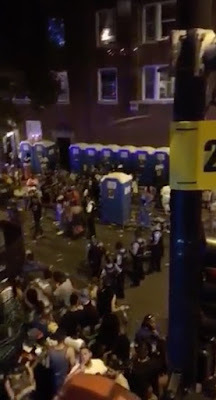 There were 24 arrests according to CWB Chicago reporting. We've posted all 24 mugshots, names, and arrest information. Today, CWB Chicago learned through a source that one of the battery victims after Sunday’s parade was none other than 19th District Police Commander Robert Cesario. Yes, the alleged offender was arrested. No, his arrest was not included in the publicly-released tally of “seven” arrests. For the second weekend in a row, police had to close Halsted Street to vehicles between Addison and Belmont when large crowds overtook the street and disturbances broke out in the traffic lanes Sunday evening. 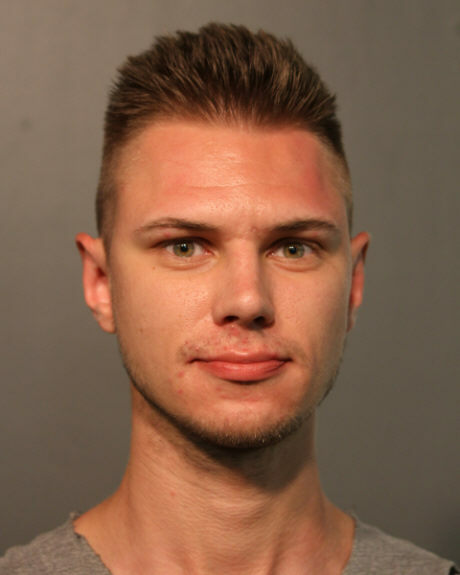 According to a source, Cesario was battered while he tried to break up a large disturbance at Halsted and Roscoe. Oleksandr Bugunokov, a 26-year-old citizen of Ukraine who lives in New York City, was charged in the Cesario case, according to the source. CWB Chicago editors have identified and posted the names, mugshots, and charges against 24 individuals who were arrested during Sunday’s parade and in its aftermath. As of Tuesday morning, Chicago police continued to state that “seven” arrests were made.